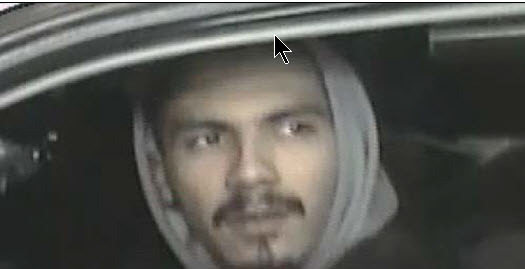 Help BPD ID this fraud suspect! 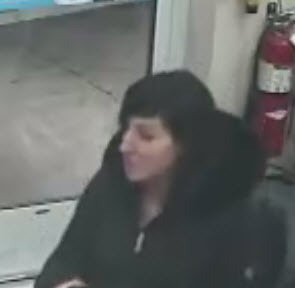 This female suspect used a stolen ID and Debit Card to withdraw $500.00 from the victim’s account. 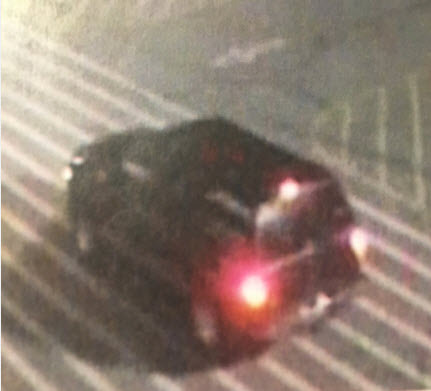 The suspect was driving a tan or grey Chevy passenger car. If anyone can Identify her please contact Crime Stoppers! Boise Police have charged three suspects in connection to the shooting of three victims overnight. Suspect Anthony Alcala has been charged with Murder in the 2nd degree and two counts of Aggravated Battery with the use of deadly weapon. Suspects Taja Ra McMurtrey-Winn and Jessica Lee Perez Timmons are also charged with Accessory to Murder for their assistance in carrying out the crime. One of the three victims injured in last night’s shooting has passed away. The victim who passed away is an adult female. The two other victims, an adult male and an adult female, remain in the hospital in stable condition. The investigation is ongoing and detectives continue to follow leads in search of the suspects. On scene, analysts from the BPD Crime Lab and detectives have been working to document the scene, collect evidence and talk to witnesses. 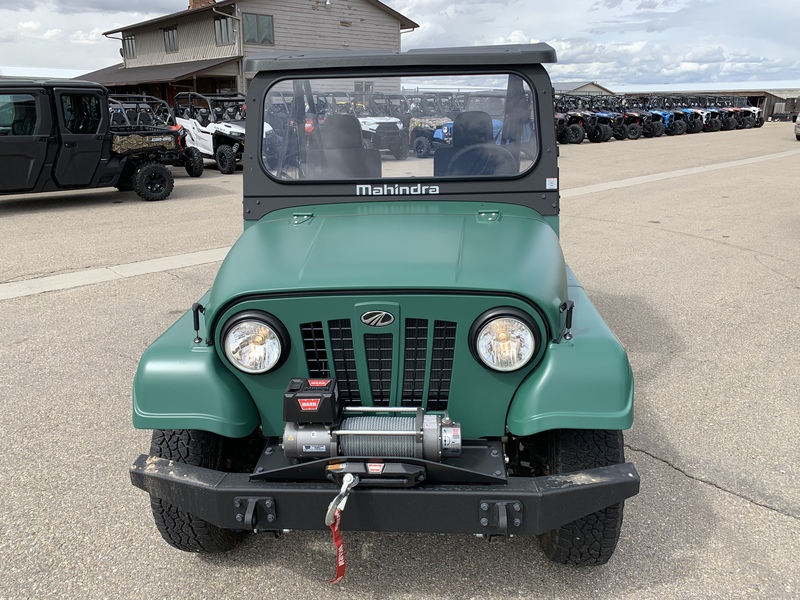 The investigation is ongoing and anyone with information is encourage to call police at 208-377-6790. You can make an anonymous tip by calling Crime Stoppers at 208- 343-COPS (2677), www.343COPS.com, or leave a tip using the “P3 Tips” app for your mobile device. On 3/14/19 the victim lost his credit card in Boise. The suspect in this case used the victim's card in a retail store in in Meridian. 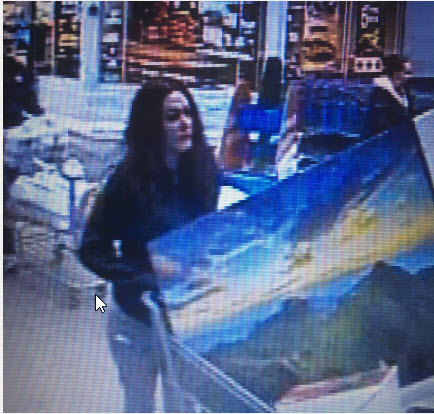 The female suspect can be seen buying a large TV for a total $509.45. 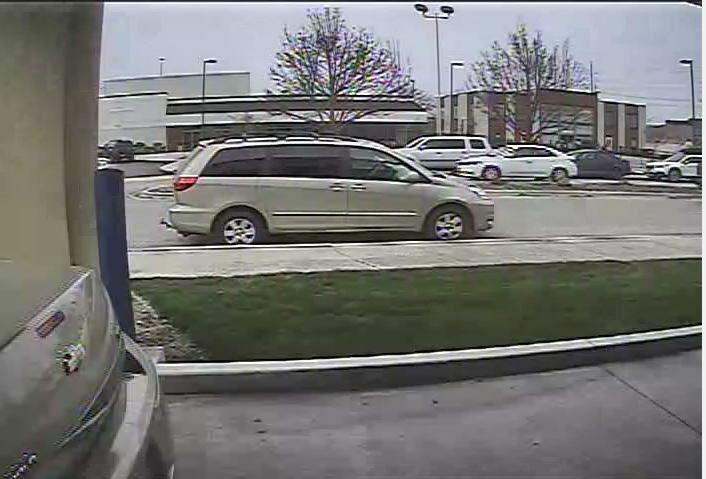 A possible suspect SUV is attached.If anyone recognizes her please contact Crime Stoppers! Help BPD solve this Burglary! Boise Police Detectives need your help in solving this Boise business burglary. 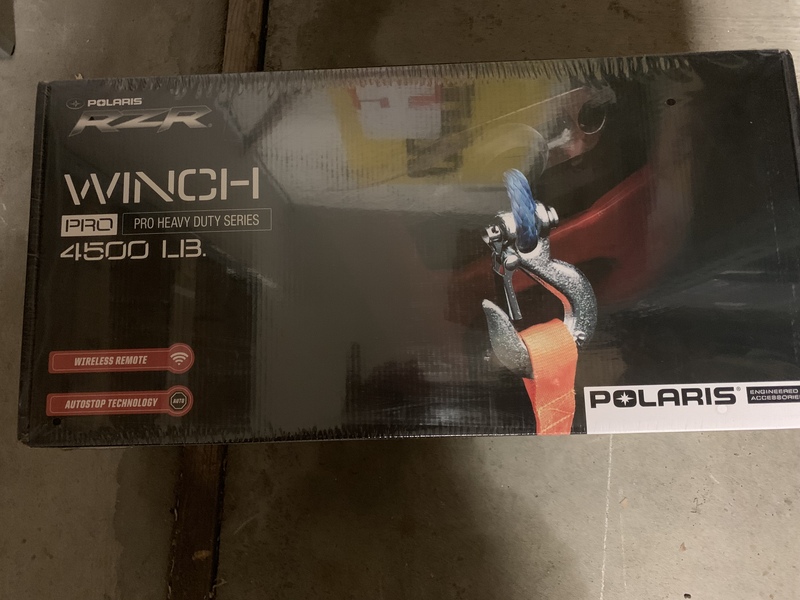 Several suspectas broke into a business near Victory and Cole, and stole a unique off road vehicle, stereo parts, winches, and heaters. The loss is over $36,000.00! Please look at the pictures and let us know if you have seen these stolen items and who has them! 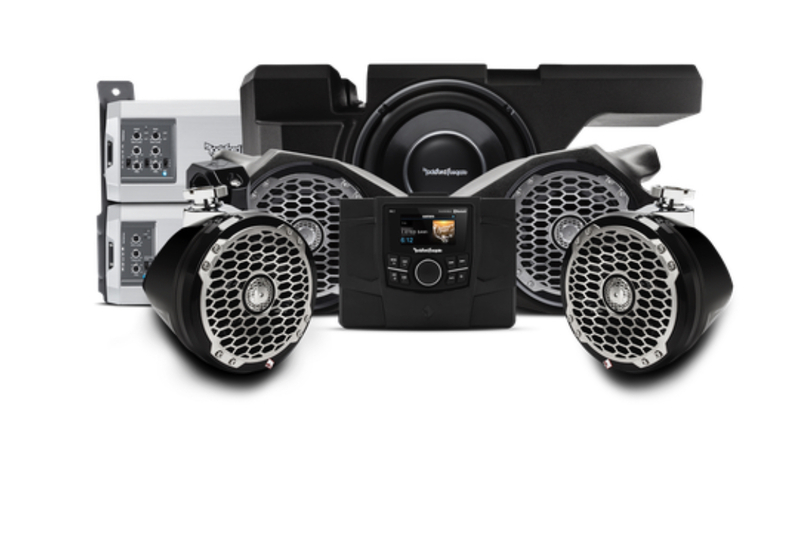 You could earn a reward of up to $1000.00! 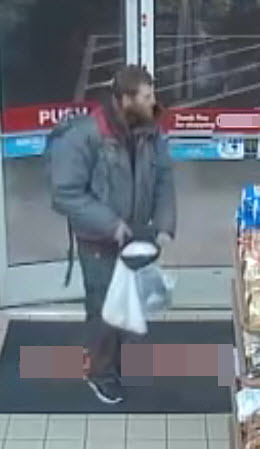 On January 24, a victim lost their wallet in a parking lot in the 7100 block of west State St in Boise. 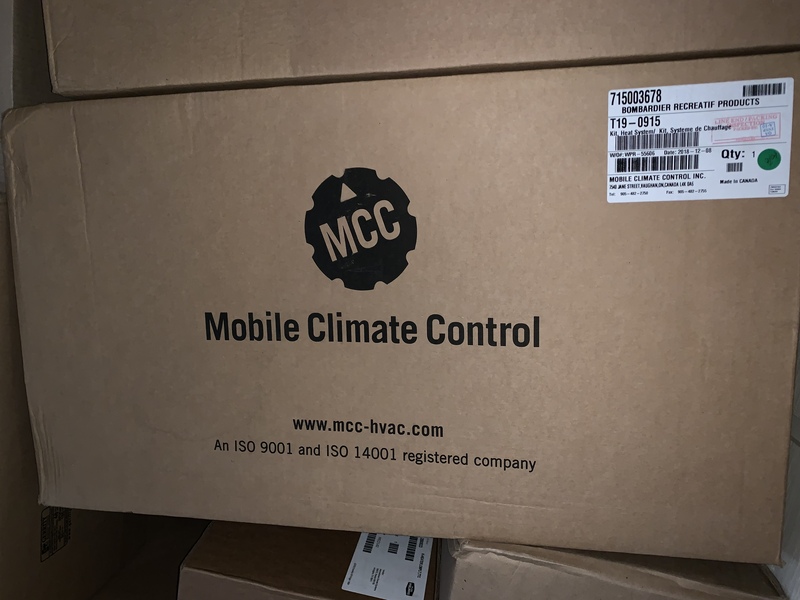 The next day the victim's bank alerted the victim to numerous charges to their credit card made around Boise. 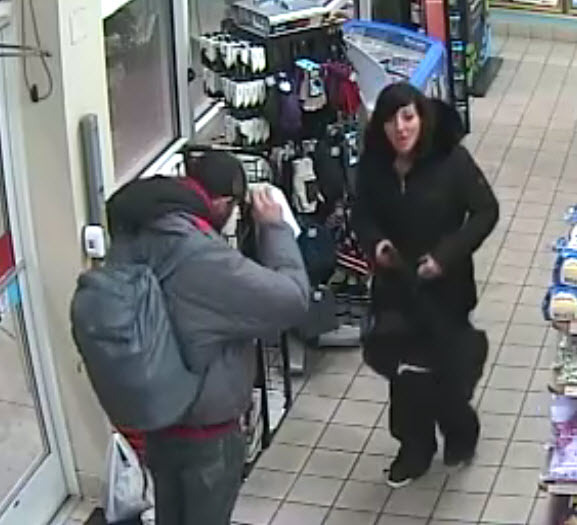 Video of a male and female subject using the victim’s credit card were obtained from local retailers. Both subjects appear to be in their 20s. 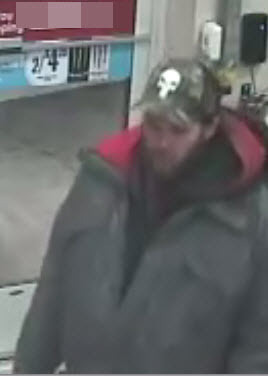 The male was wearing a heavy grey coat and a cammo trucker style hat with a skull logo. He also had a full beard and was wearing a backpack. 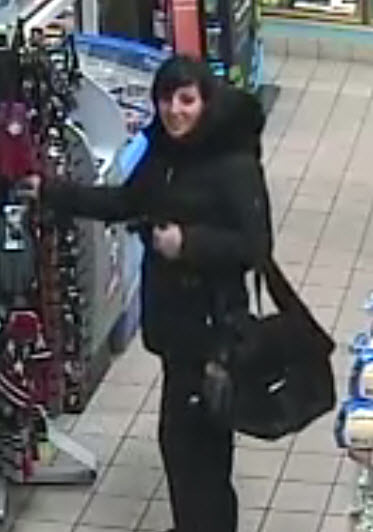 The female who has dark hair, was wearing all black clothing and was carrying a larger bag with white marking on it. Can you identify this burglar? 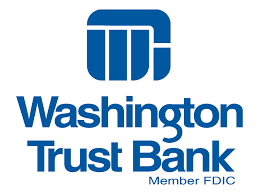 On 3/18 at 0545 a suspect, possibly a white male, entered a Boise public building and attempted to break into and remove a wall mounted ATM machine. The male spent approximately 45 minutes to an hour trying to remove the machine by prying it from the wall. Several tools were used and removed from the scene except for a hand dolly which was recovered by the Police. Damage to the machine is in excess of $3000 but the suspect was unsuccessful in getting money from the device. 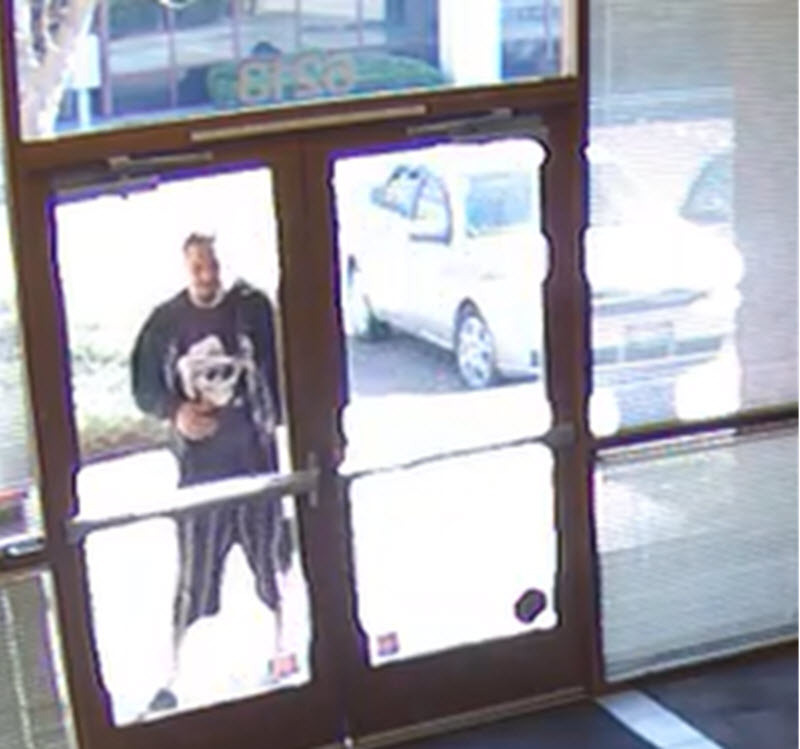 Boise Police ask for your help in identifying an attempted burglary suspect. 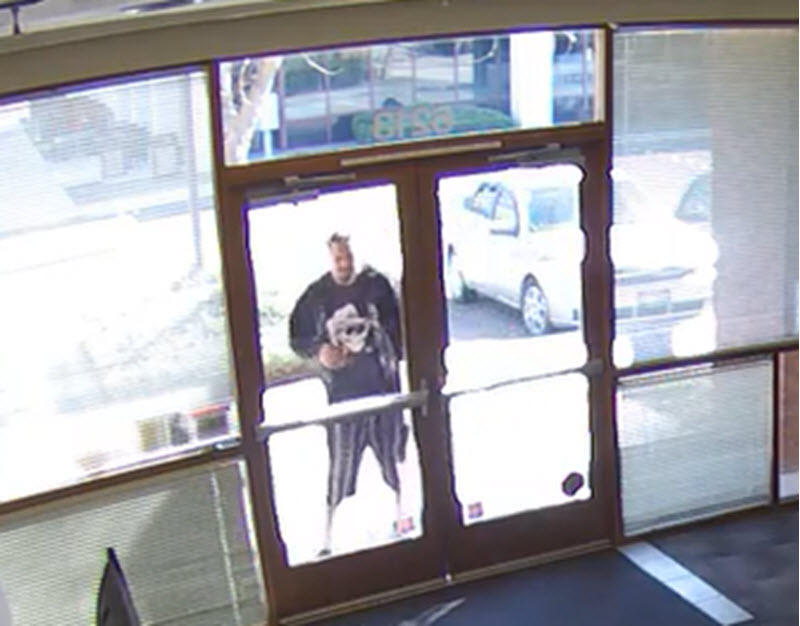 On Saturday March 16 at approximately 5 pm a male subject attempted to break the front doors of a business located in the 6200 of Cloverdale Road in Boise. 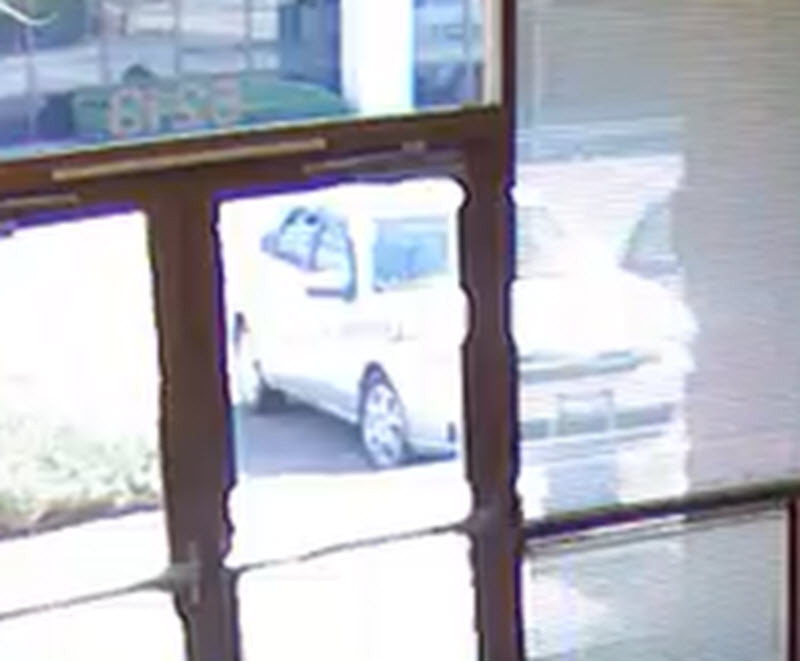 Surveillance cameras show the male drive up to the building, exit his vehicle, and look through the front doors into the closed business. The male leaves, only to return later and attempt to throw a large rock through the front doors. The attempt is unsuccessful and the male drives away. He is described as an adult male in his mid 30s with a stocky build. He was wearing stripped shorts and a dark t-shirt with a skull logo on the front, along with a dark hooded sweat shirt. The male had dark hair pulled back into a bun and a goatee. The car driven was a white 4 door sedan. 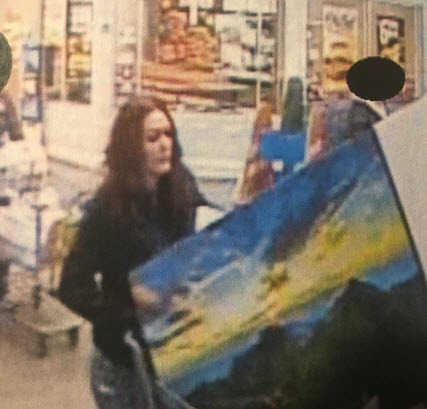 Boise Police need your help in identifying this person of interest in a Boise theft case. 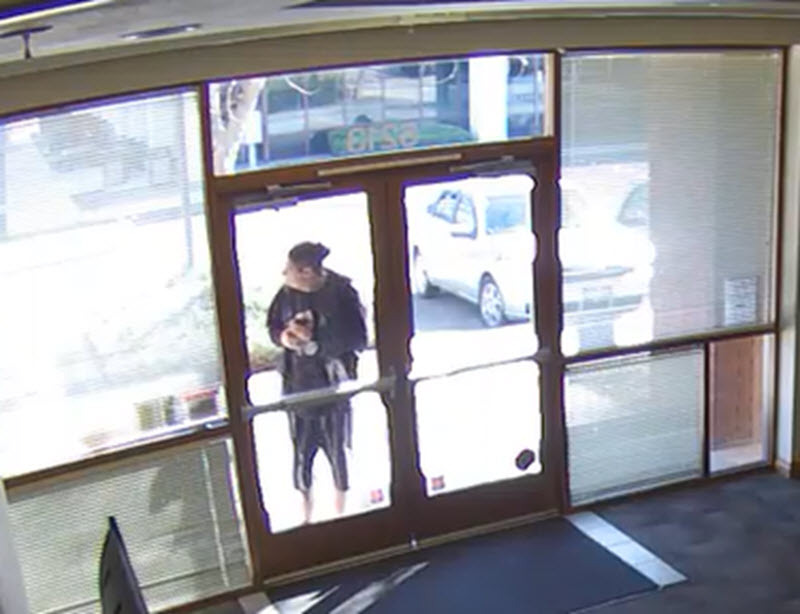 This male subject entered a public building in Boise and stole an undisclosed amount of cash from the business. 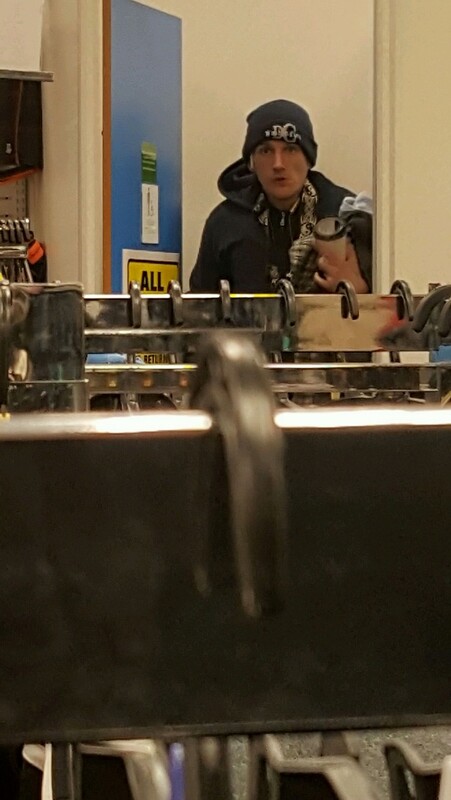 Help BPD catch this shoplifting suspect! This suspect entered a retail store on South Broadway wearing a blue shirt and black sweatshirt. The suspect changed into the stolen clothes shown and left his old clothes in the store. Who is this check fraud suspect? 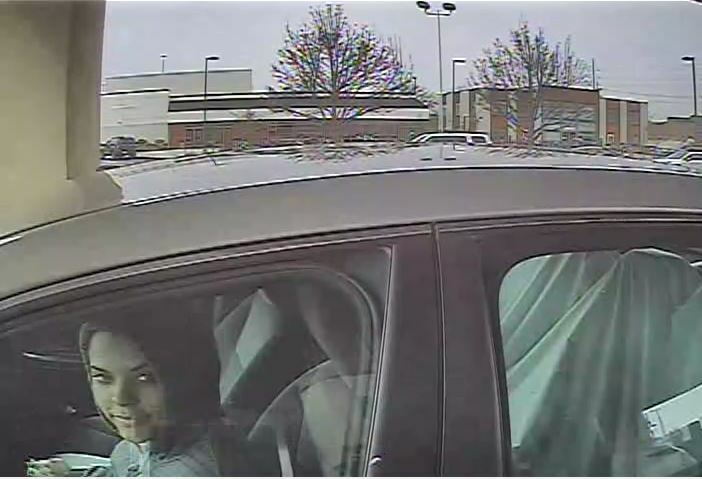 Nampa Police are asking for your help in identifying a subject in a check fraud case. A victim in Nampa had a check stolen out of their mailbox. A male subject later attempts to pass the stolen check at a local bank. He was captured on camera driving what appears to be an early 90s 4 door sedan. The male is additionally suspected of other check cases in the area. 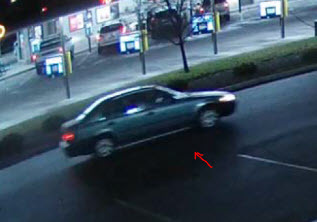 To view pictures of the male and the vehicle he was driving go to 343COPS.com and click on unsolved crimes.